For the past 18 months, I have been writing about the housing market in Northern Nevada, focusing mostly on the more “affordable” part of our market. The message has been pretty consistent — low inventory, high demand, not enough new construction and rising prices. For the record, I do not believe this is a bubble. This represents the economic theory of supply and demand, which is being experienced not only in our market, but nationally. We have seen trends go up and down for the past 40 years in real estate, and in my opinion, will continue to feel some pain with low inventory and rising prices until we have more inventory (from new construction) or lessening demand. This month, I thought I would look at the other end of the housing market, what we call the “luxury segment.” We define the luxury market in Northern Nevada as homes over $1,000,000, understanding that people who own this price home in our market likely own another luxury home in a different market. I would like to share what is happening, who is buying and selling, and what some of the trends are in this price range. It’s a part of the market we have been actively engaged in since 1988 when Dickson Realty was invited to join a small group of brokers from around in the country to form a luxury marketing company called Great Estates. We were a member of Great Estates until Christie’s Auction purchased that company in 1992. We remained Christie’s affiliates until 2006. Currently, we are members of Luxury Portfolio, another luxury real estate entity, who are more engaged with real estate than art. 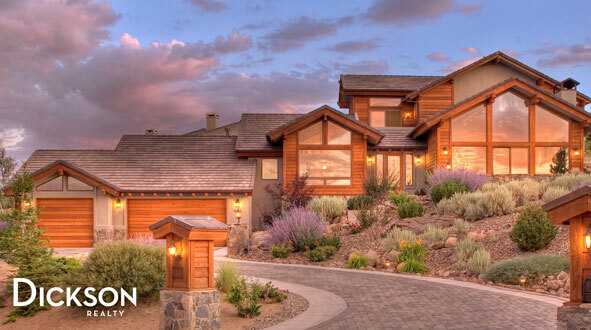 The luxury market in the Reno/Sparks area represents just under 4 percent of all sales. While not the largest percentage, it is an important market to take note of as it enhances the picture of what is happening in our market. For instance, currently we have five months of inventory for luxury homes between $900,000-$1,500,000, and 13 months of inventory for homes priced at $1,500,001 and above. This has changed significantly from the first quarter 2017 when we had 9.4 months of inventory of homes from $900,000-$1,500,000 and a whopping 49 months of inventory over $1,500,001 and above. In our latest Luxury Trends report, the total number of million-dollar homes that sold in the first quarter 2018 vs. 2017 is up by 225 percent. The average sales price is up 9.37 percent, and the average price per square foot is up by 6.45 percent. Finally, the average days on the market is a bit higher by 43 days. In actual units, there have been 52 homes sold in the first quarter versus 16 homes sold last year. With every region of the globe growing right now, central banks are rolling back monetary stimulus and tightening policy. Buyers should expect the same policy of slow, steady interest rate rises as the global economy continues to improve. With the strong gains in stocks over the past few years, buyers are looking to embrace more real estate to rebalance their portfolios. Blockchain, a growing list of records that are linked and secured using cryptography, has begun to influence financial services and will begin to change the way luxury buyers purchase real estate. The oldest of the millennial home buyers will purchase their first home, and will be attracted to low-tax areas. Reviewing Rossell’s list of insights, I conducted an informal survey of the transactions Dickson Realty had closed in the first quarter, which was almost 38 percent of the entire luxury market, to see what was happening in our marketplace. Twenty-four percent of the buyers for luxury real estate were local, 71 percent were from California and 5 percent were from other high taxed states. Most of the buyers from California were not employees of the many new companies in our area, but retirees. With the increase of sales equaling 225 percent over 2017, we believe the affluent in our area or those coming into our area are expanding their real estate portfolio. According to Jim Lyon, CEO of First Centennial Title Company, they have had no blockchain or cryptocurrency closings, and only one inquiry. Approximately 20 percent of the buyers in the first quarter were millennials. Currently, the luxury market is almost a balanced market (which is six months of inventory). With the current sales trends, I suspect it will not be long before we are experiencing the shortages in parts of this market as well. 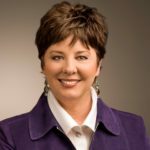 Nancy Fennell is president of Dickson Realty.